Zambia’s kwacha, which slumped to a four-month low last week, is again seen under strain in the coming week due to strong demand for dollars in the energy sector. Other economic performance indicators are also worsening under the PF government with the inflation rate increasing by 0.2 percentage points from 6.6 per cent recorded in September 2012, to 6.8 per cent this month. The Zambian kwacha is expected to remain on the back foot this week in the absence of any significant dollar inflows and high demand for the greenback. “What we are seeing is high demand mainly from the energy sector unmatched by supply,” one commercial bank trader said. Early this year, Zambian government took some political rather than economic decision of banning trading in foreign currency, a move that temporarily strengthened the Kwacha, but reality has finally downed that there were no quick fixes to economics. On inflation rate, Zambia’s Central Statistical Office (CSO) last week said the increase has been due to an upsurge in the cost of food and non-alcoholic beverages. This means that on average, prices increased by 6.8 per cent between October 2011 and September 2012. CSO Director John Kalumbi said at a Press briefing in Lusaka that the annual rate of inflation as measured by the all items Consumer Price Index (CPI) increased to 6.8 per cent from 6.6 per cent the previous month. Of the total 6.8 per cent annual inflation rate in October 2012, Mr Kalumbi said food products accounted for 4.2 percentage points, while non-food products accounted for a total of 2.6 percentage points. Mr Kalumbi said a comparison of retail prices between September 2012 and October 2012 shows that the national average price of a 25kg bag of breakfast meal went up by 0.2 per cent from K48, 528 to K48, 606. 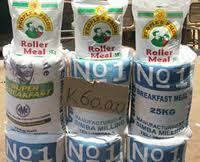 The national average price of a 25kg bag of roller meal increased by 2.5 per cent from K34, 177 to K35, 038. The national average price of a 20 litre tin of maize grain increased by 5.9 per cent from K18, 115 to K19, 182. He said the national average price of vegetables increased by 10.8 per cent from K2, 399 in September 2012 to K2, 658 in October 2012.